...When Rabbit said, `Honey or condensed milk with your bread? 'Pooh was so excited that he said `Both'. Winnie-the-Pooh always likes a little something to eat, but when he goes to visit Rabbit he finds he can't quite make it out the door. 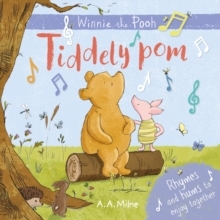 This beautiful little storybook is a great way to introduce young readers to the characters in the Hundred Acre Wood. 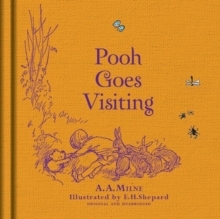 Illustrated with E H Shepard's iconic artwork, this is guaranteed to be a bedtime favourite for children aged 5 and up. 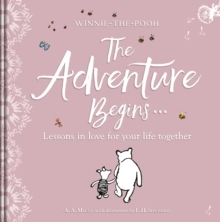 Look out for the other titles in the collection:Winnie-the-Pooh: Eeyore Loses a TailWinnie-the-Pooh and the Wrong BeesThe nation's favourite teddy bear has been delighting generations of children for 90 years. 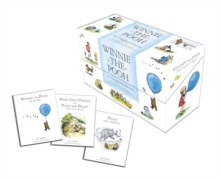 Pooh ranks alongside other beloved characters such as Paddington Bear, and Peter Rabbit as an essential part of our literary heritage. 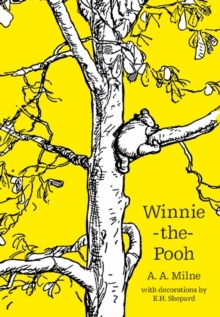 Whether you're 5 or 55, Pooh is the bear for all ages.